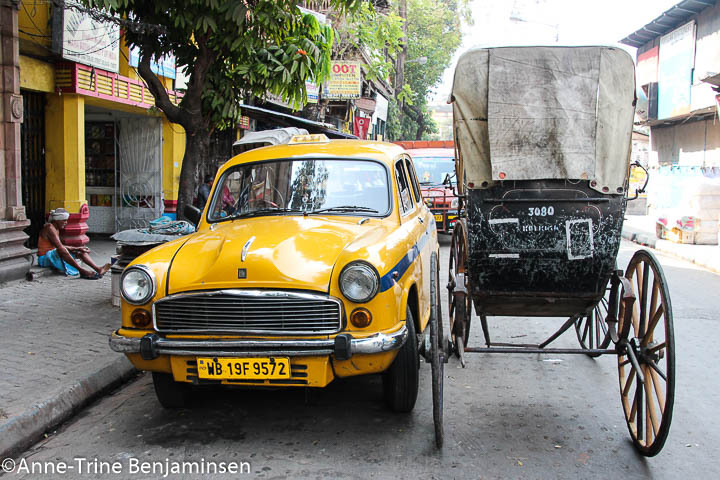 The first thing I noticed in Calcutta, was the omnipresent yellow taxis. It shant be denied, Calcutta is – at least at first sight, a chaotic, dirty, dreary, noisy, congested megalopolis (rumour says 17 million people…). 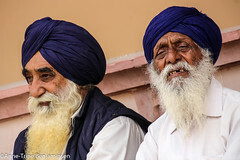 At second glance, after spotting the taxis, the picture changes. At least it did for me. 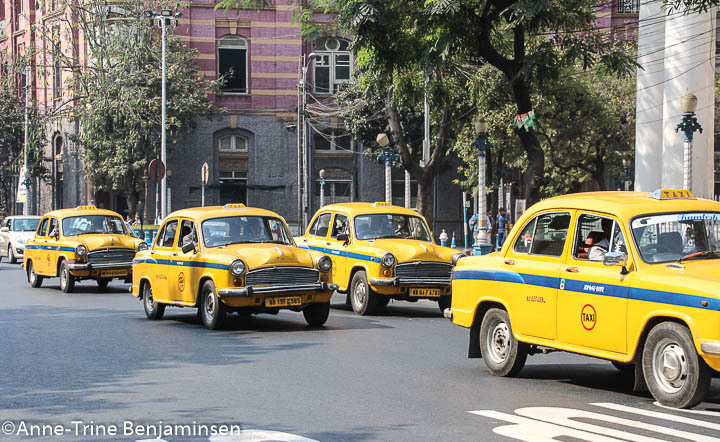 The taxis, like a swarm of bees, were lighting up every street. The yellow Ambassadors are everywhere!! FACT | The Hindustan Ambassador was an automobile manufactured by Hindustan Motors of India. It was in production from 1958 to 2014 with few improvements and changes over its production lifetime. All the taxis have ‘No refusal’ on their doors. The story goes that the taxis are notorious for declining passengers, a fact that tells me that the drivers earn pretty good money. At least enough to say no to a ride in jammed areas – or too far away or maybe the driver has just planned his lunch break! So the authorities made the drivers put ‘No refusal’ on the car and act accordingly. Does it help? Hardly! 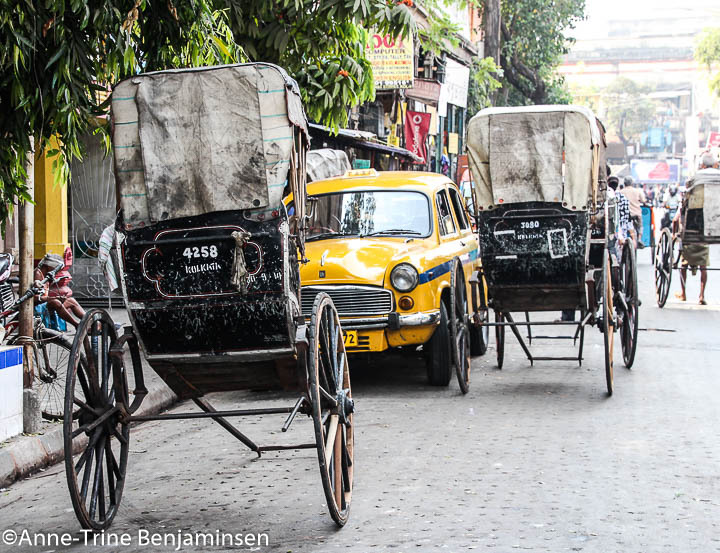 New and old times meet in the streets of Calcutta. 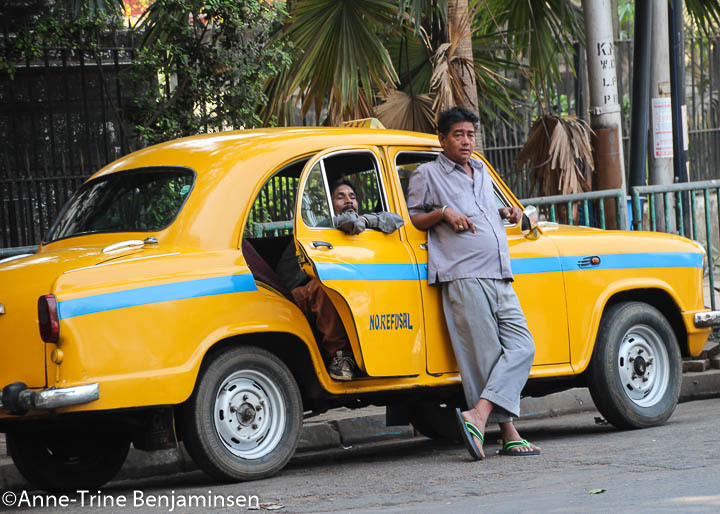 FACT | Taxi services started in Calcutta in 1907, the Ambassador became the standard taxi model in 1962. In 2014, Hindustan Motors brought the production of this regal brand to a close, sadly the Ambassador was not in sufficient demand. If you didn’t know, you would think that there was still a steady production of these cars as they swarm and honk their way through the streets. May the remaining cars live long and colour the streets of Calutta!